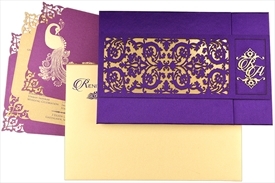 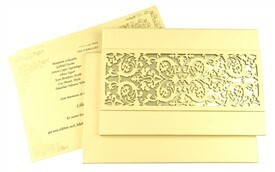 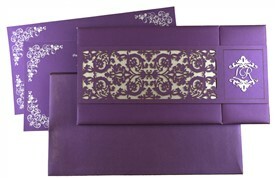 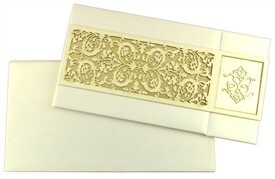 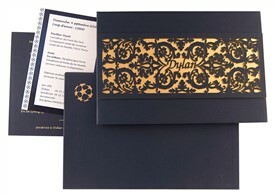 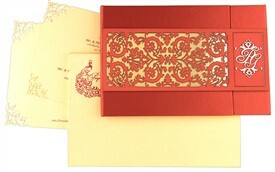 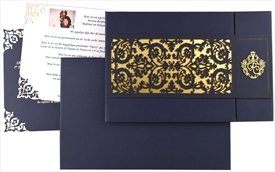 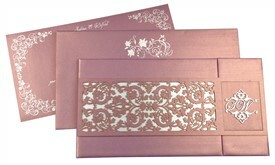 D-6179, Cream Color, Shimmery Finish Paper, Laser Cut Cards, Designer Multifaith Invitations. 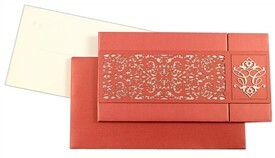 Satin fabric for hardbound thick card. 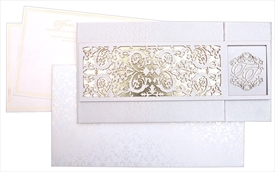 Inside lining, 2 inserts and mailing envelope in cream shimmer paper. 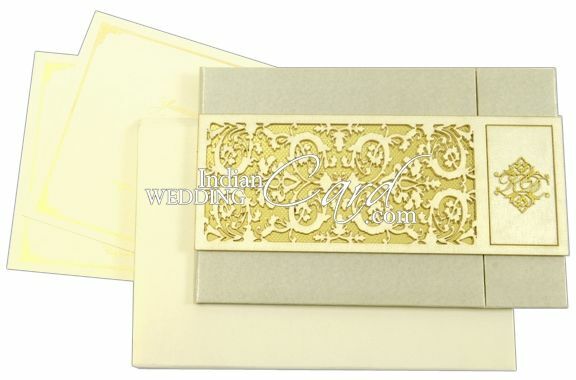 Large Plexi glass band in laser cut on front of card with golden paper underneath it. 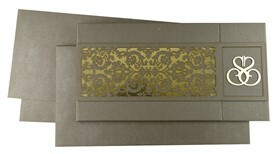 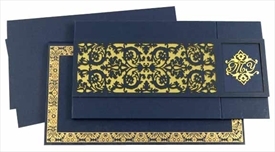 Same golden paper used as envelope lining.